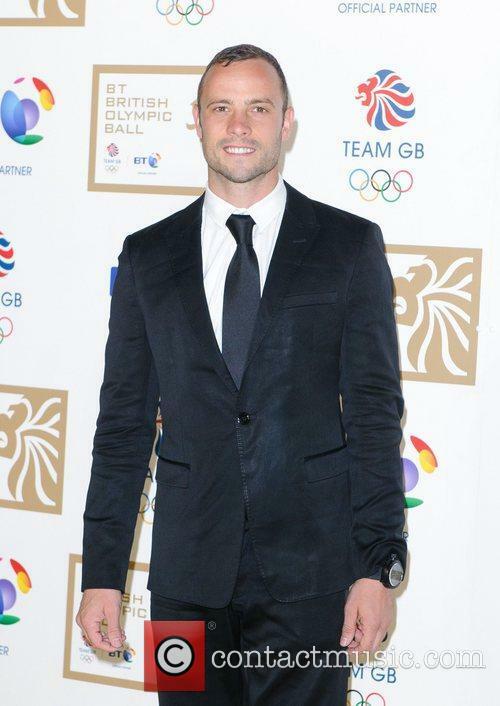 Oscar Pistorius Shoots Girlfriend After Mistaking Her For Burglar? Did Oscar Pistorius Shoot His Girlfriend? 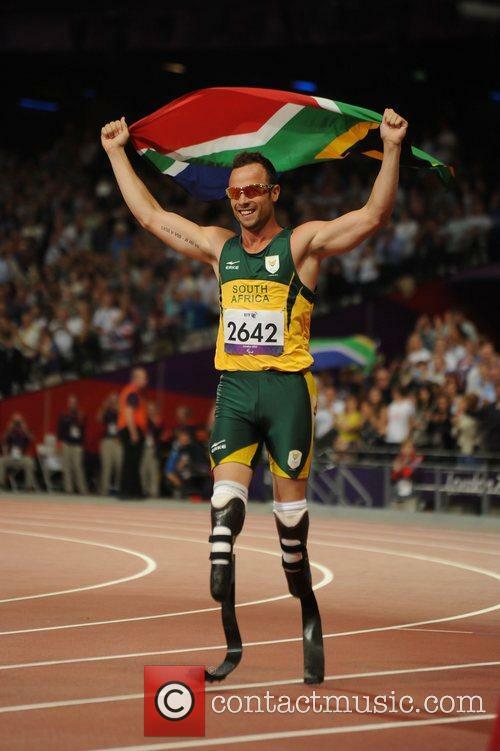 'Oscar Pistorius shoots girlfriend,' is the headline that sent shockwaves through the Paralympic sporting world early on Thursday (February 14, 2014) though details remain sketchy. BBC News report how double amputee Pistorius - known as the blade runner - was arrested over the fatal shooting of his girlfriend at his home in Pretoria. The circumstances surrounding the incident are unclear, though reports suggest he may have mistaken her for a burglar. The incident is said to have taken place between 4am and 5am local time, with a police statement saying a 30-year-old woman was "fatally wounded" in the early hours of Thursday morning at a home in the Silverlakes complex in the Boschkop area of the capital. The woman had been shot in her head and upper body, and although paramedics arrived promptly, she died at the scene. A 9mm pistol was recovered inside the home. South Africa is known for having one of the highest crime rates in the world, with many city residents keeping weapons to protect themselves against intruders. Pistorius is expected to appear in court following the fatal shooting. "I can confirm to you that a 26-year-old suspect will be appearing in the Pretoria Magistrate's Court this afternoon following a shooting at Oscar Pistorius' house," police spokeswoman Lt-Col Katlego Mogale told the Pretoria News. The Paralympian's agent Peet Van Zyl said he was heading to Pretoria to speak with his client, telling The Telegraph, "I hope I can have access to him at the police station," he said. "At this point in time I can't give any details about what has happened. Oscar is a humble person and a lovely guy - I'm sure what's happened has been a terrible mistake but I really don't have the details at the moment." Van Zyl confirmed that Oscar had a steady girlfriend, with local reports suggesting she was FHM model Reeva Steenkamp, though this is yet to be confirmed. 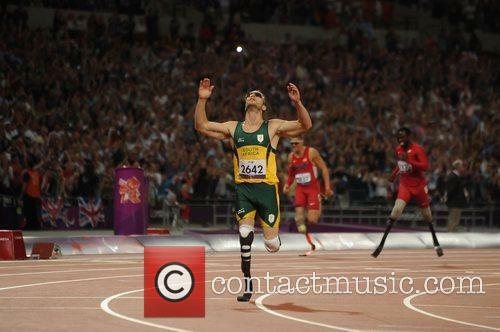 Pistorius races wearing carbon fibre prosthetic blades after he was born without a fibula in both legs. He reached the 400m semi-finals in the London 2012 Olympics and won silver at the T44 200m Paralympics, as well as gold in the 4x100m relay and gold in the T44 400m. Ed Warner, head of UK Athletics, said little was known about the incident but described the reports as "shocking and very sad," adding, "Pistorius is one of the great icons of Paralympic athletics but also of able-bodied athletics too."